Country living at its best!!! 10 miles from Lawrenceburg Wal-Mart or Kroger. 2400+/-Sq.ft. 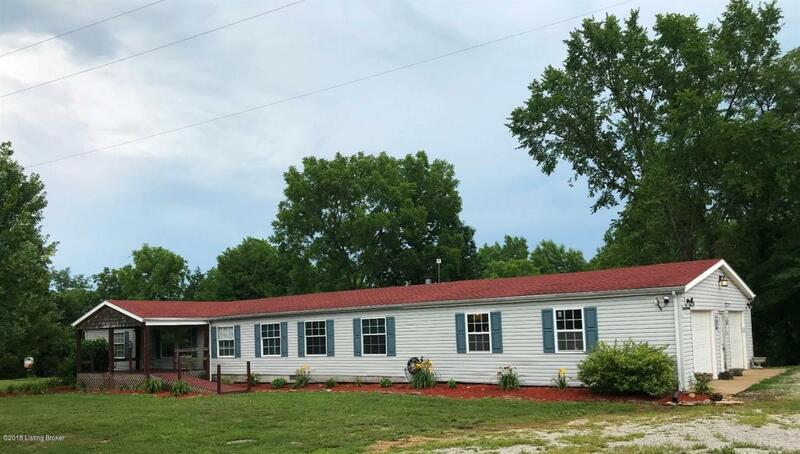 manufactured home sitting on 7.1+/-acres with 3 bedrooms, 2 baths, split floor plan, 2 car garage, 1 car detached, storage shed, 12'x50' deck on back of home and front porch. Home has over sized kitchen and master bedroom. All bedrooms have walk-in closets. Separate dining room. Family room with fireplace that can be wood burning or use the electric one that is in there now. Kitchen and baths have new counter tops. Roof is only one year old. A must see home call today for a showing!! !